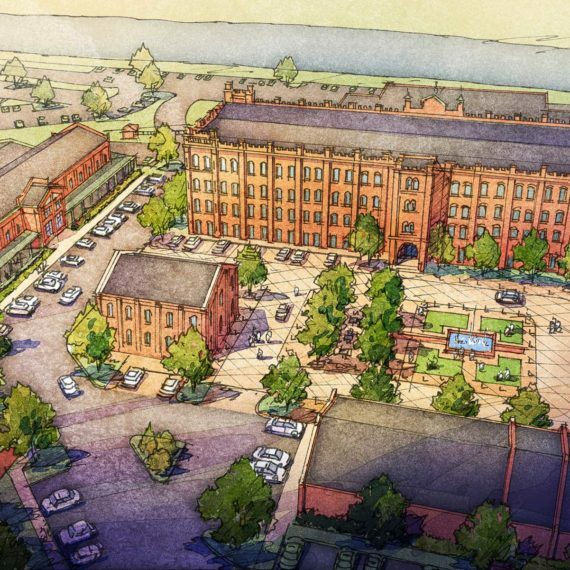 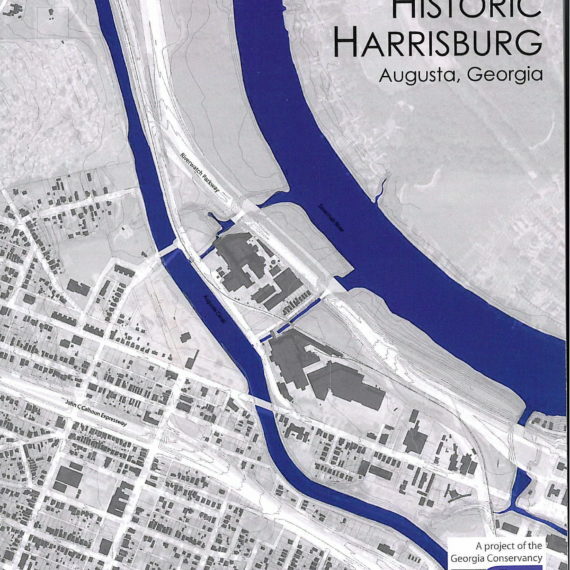 The Big Idea: Rehabilitate vacant and abandoned housing stock in Harrisburg for sale to people who have modest but steady incomes to stop the deterioration of this historic area. 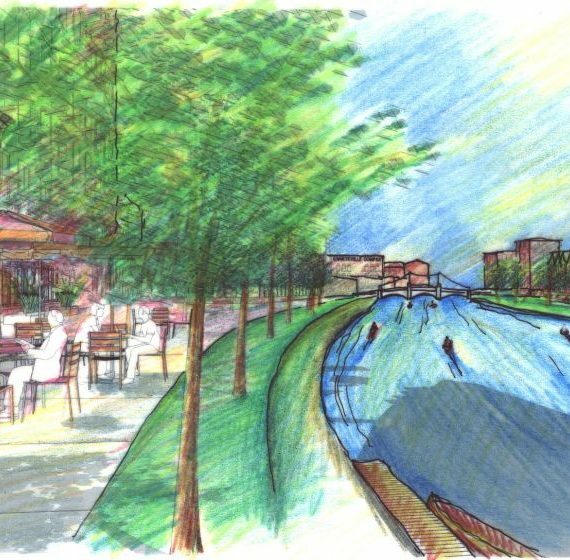 Time: The Broad Street pilot project was completed in 4 years. 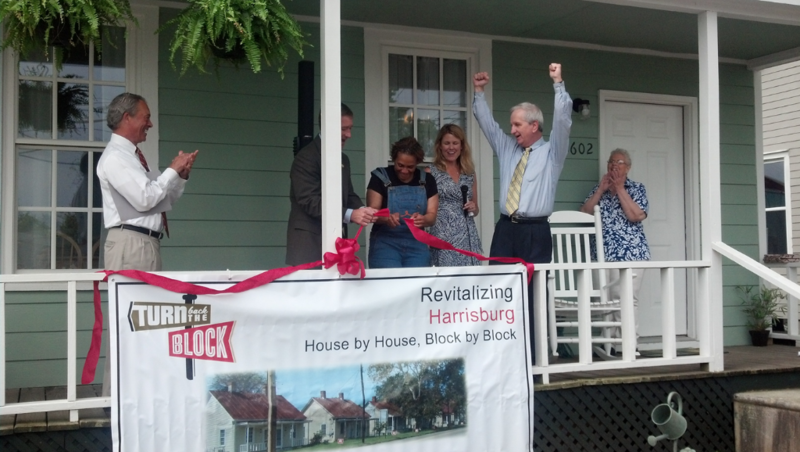 Turn Back the Block then started rehabilitating homes in other areas of Harrisburg. 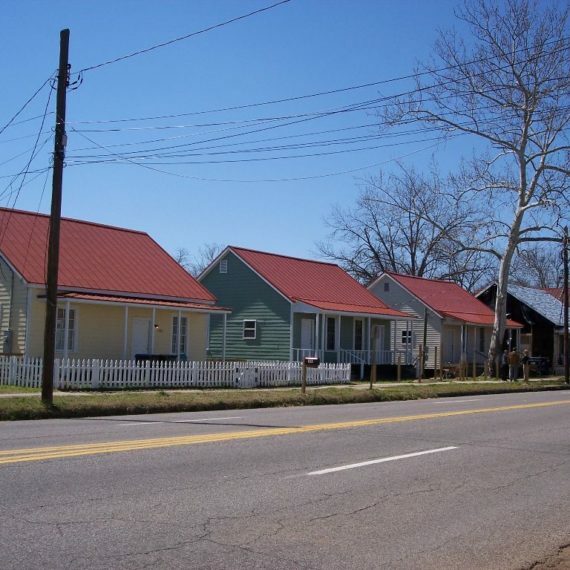 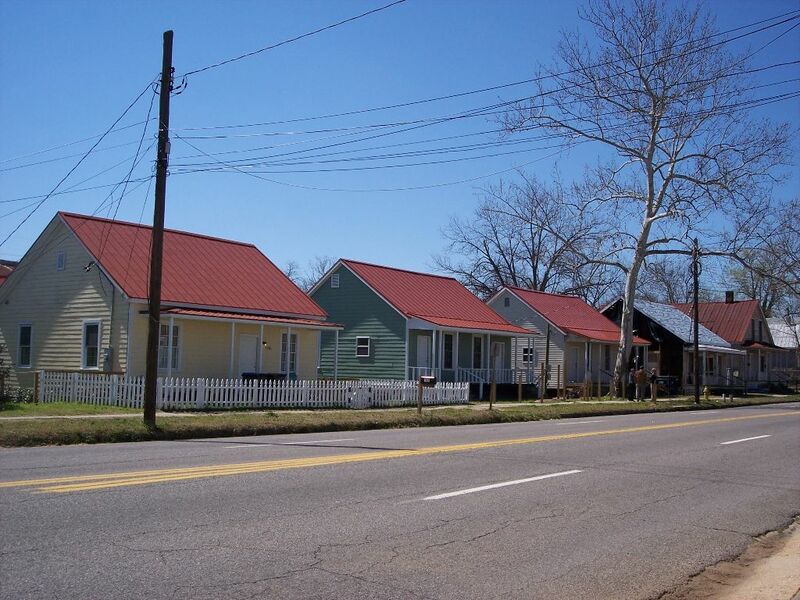 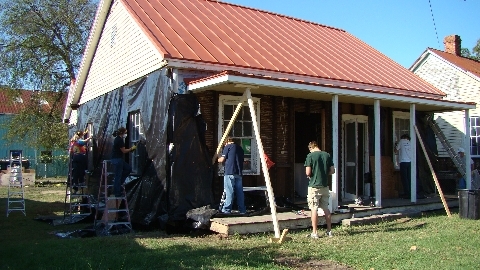 Details: In March 2010, the Harrisburg Implementation Team established an Augusta branch of the Fuller Center for Housing with the mission of revitalizing Harrisburg by capitalizing on rehabilitating the vacant and abandoned housing stock, through volunteer labor, and making it available for sale to people who have modest but steady incomes. 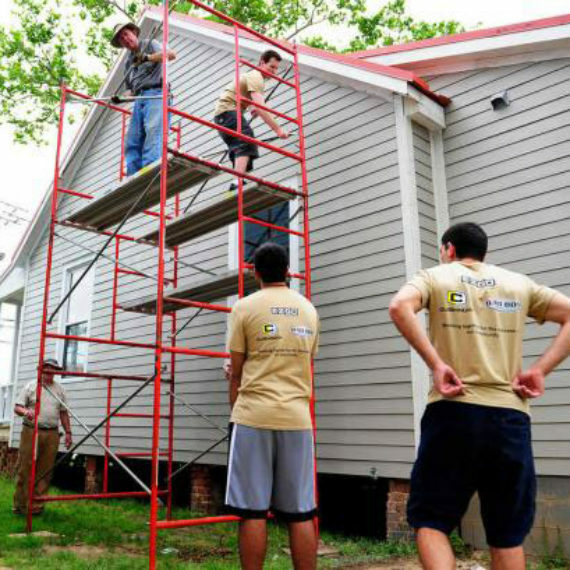 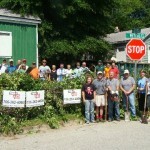 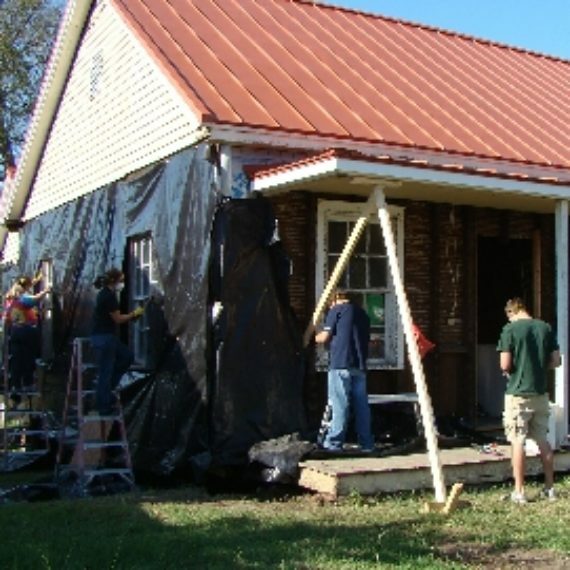 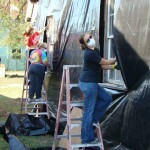 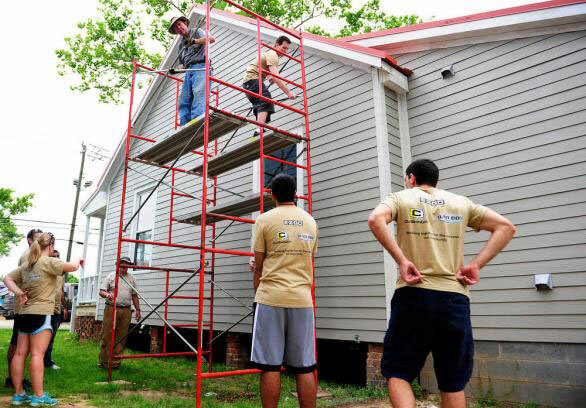 In August 2010, the Augusta-Harrisburg Fuller Center for Housing, branding their initiative as Turn Back the Block, sponsored the first Block Party workday. 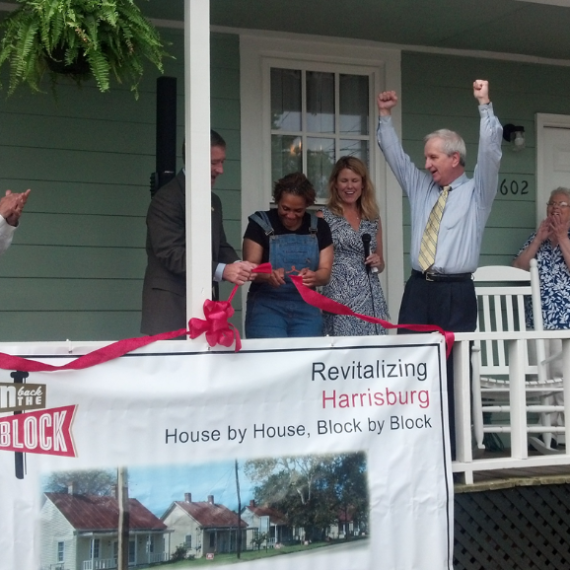 In November 2011, Turn Back the Block sold their first home. 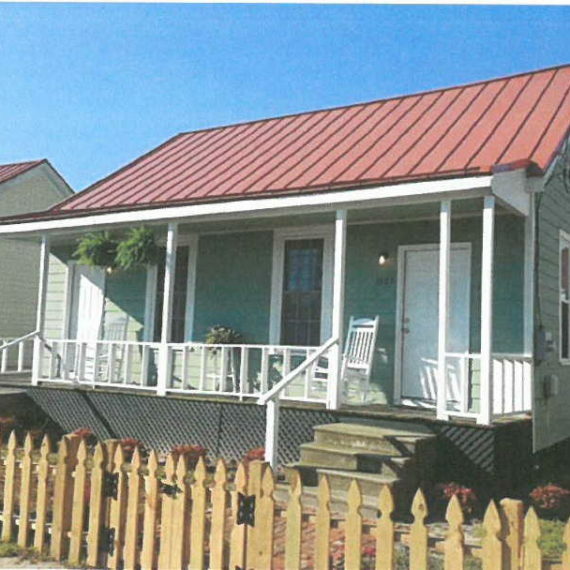 On 4/26/2013, the second home was sold. 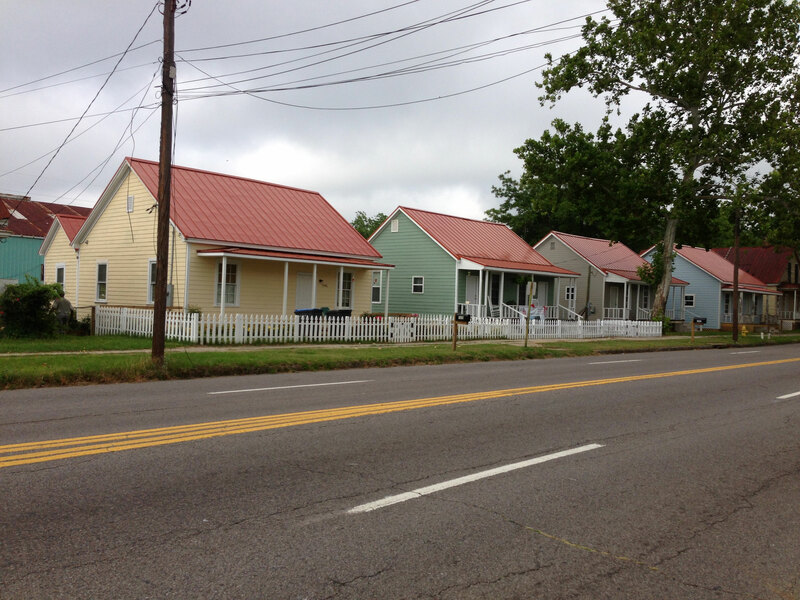 Progress: In 2014, the last of the 5 rehabilitated homes “pilot” project on Broad Street was occupied. 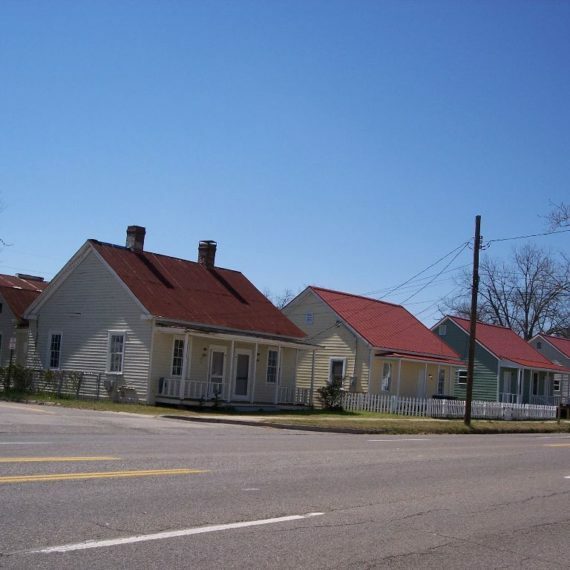 Construction efforts moved to Battle Row and Metcalf in 2014. 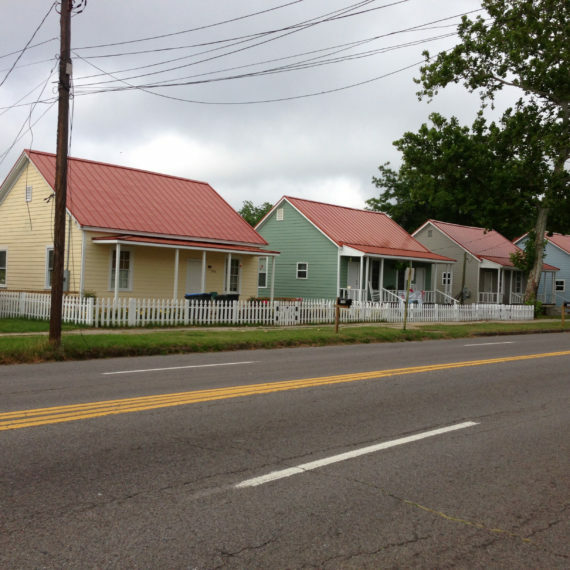 In 2016, groundbreaking at 627 Metcalf St. and construction of two shotgun style homes at 2010 and 2012 Battle Row was completed. 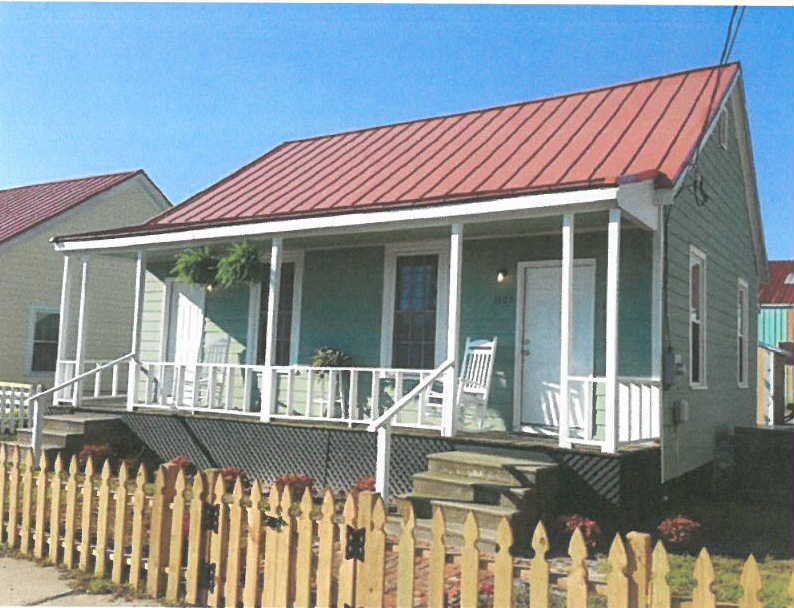 In 2016, an old warehouse at 1924 Battle Row was donated to Turn Back the Block and was renovated. 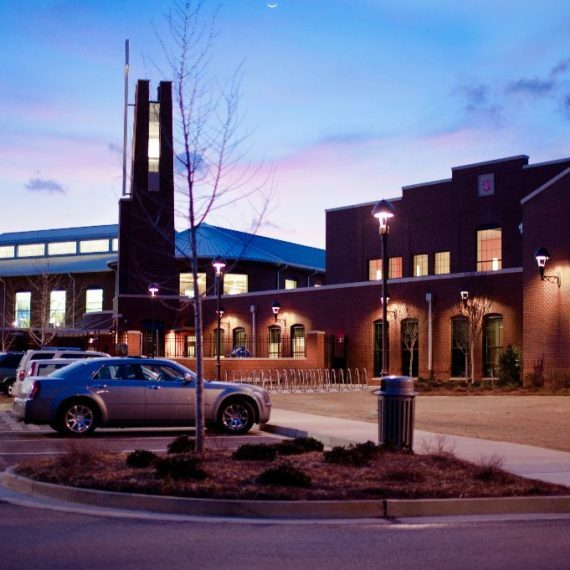 At over 3700 square feet, it provides ample and secure storage. 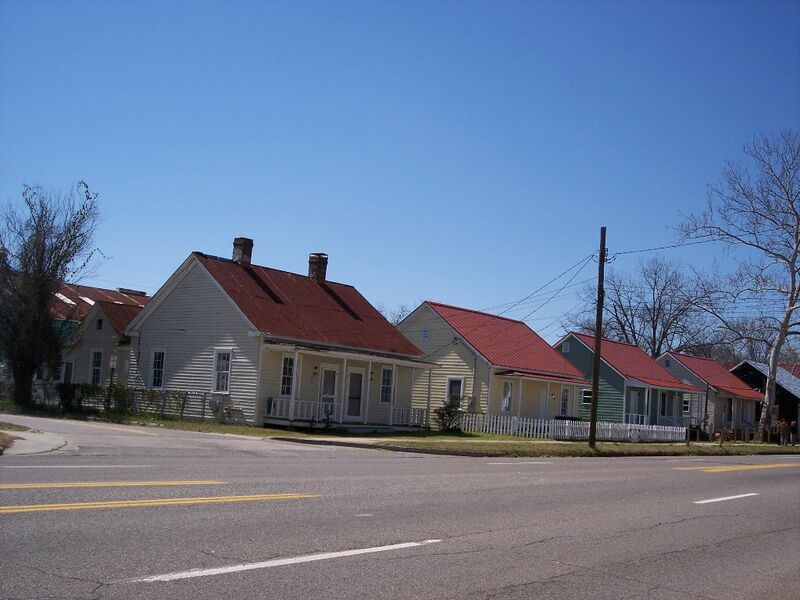 In 2017, homes on Perkins Street and Hicks Street started rehab.